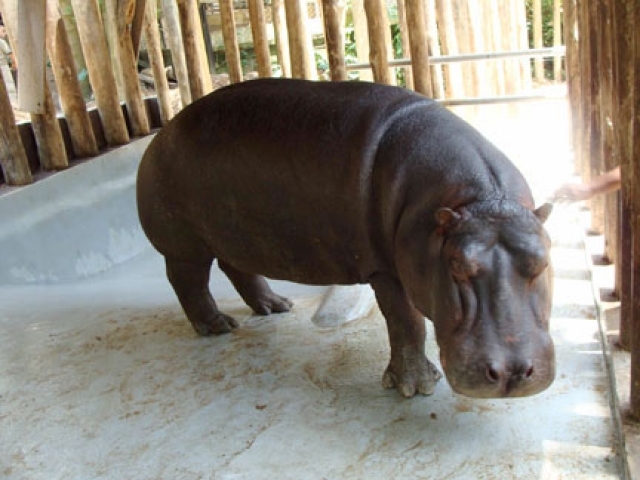 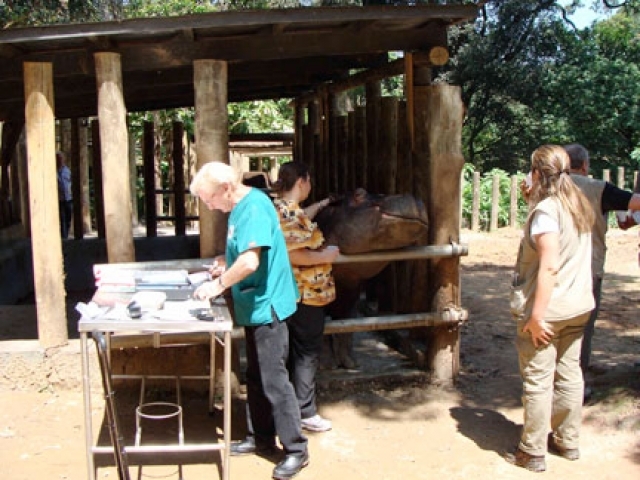 Dr. Emily of PEIVDF and Dr. Felicia Knightly of the Denver Zoo were invited to work on a hippopotamus residing at the Parque Zoologico de Sao Paulo in Brazil. During his captivity, Pororo the hippopotamus had worn down three of his large teeth to expose the root chambers. 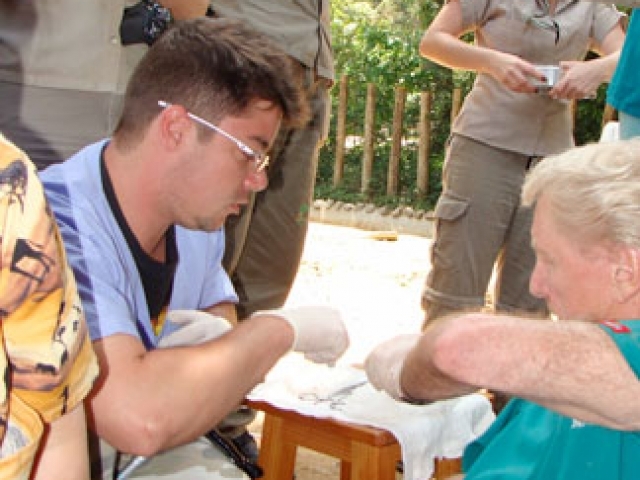 Exposed root pulp subjects the animal to constant pain and risk of bacterial infection. 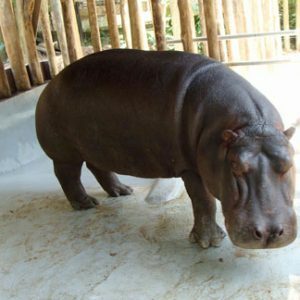 Hippopotamuses are very difficult to anesthetise successfully, and can only be kept under anesthesia safely for less than an hour. 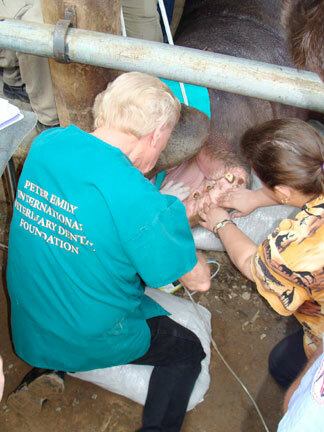 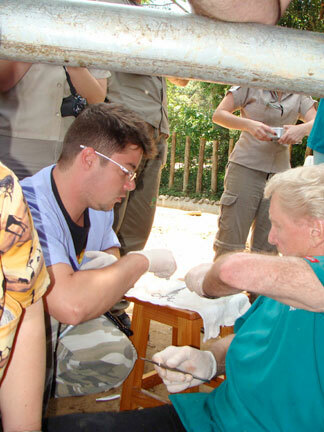 As a result, PEIVDF called on the expertise of the head veterinarian at the Denver Zoo, Dr. Felicia Knightly. 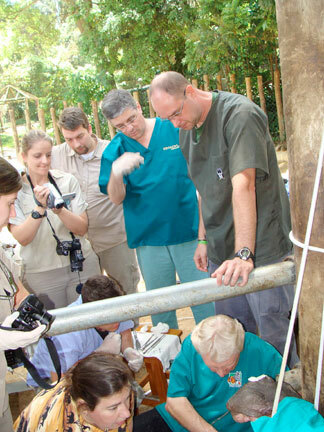 In less than an hour of working time, Dr. Emily performed three vital pulpotomies on the hippo, relieving Pororo’s pain and eliminating the risk of infection from exposed root chambers. Dr. Knightly expertly administered and monitored the anesthesia and successfully recovered the hippo upon completion of the procedures. 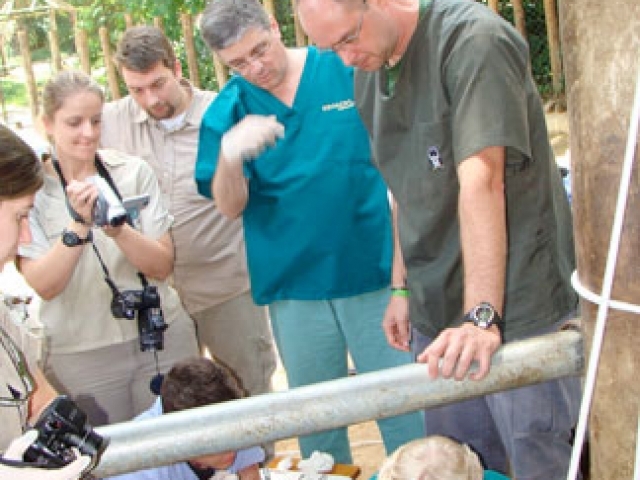 Dr. Joao Batista da Cruz, DVM, Director for Technical and Scientific Affairs reports that Pororo is happy, healthy, and missing his two new friends. 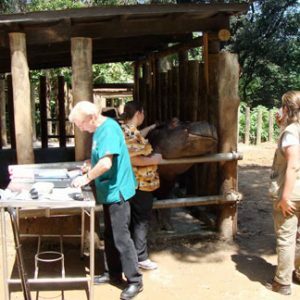 For more information on the Parque Zoologico de Sao Paulo in Brazil, click HERE to be taken to their website.